SAN DIEGO, Feb. 25, 2016 -- Northrop Grumman Corporation (NYSE:NOC) successfully flew a SYERS-2 intelligence gathering sensor on an RQ-4 Global Hawk high altitude long endurance unmanned aircraft system (UAS), marking the first time the legacy U.S. Air Force sensor has been demonstrated on a high altitude unmanned aircraft. With the success of the SYERS-2 flight, Northrop Grumman plans to fly an Optical Bar Camera (OBC) sensor and an MS-177 multi-spectral sensor later in the year. Payload integration is not new to Global Hawk. NASA has successfully integrated and flown over 30 different information-gathering payloads on Global Hawk. Existing models of the U.S Air Force Global Hawk are capable of carrying an Enhanced Integrated Sensor Suite (EISS), Airborne Signals Intelligence Payload (ASIP) and Multi-Platform Radar Technology Insertion Program (MP-RTIP). The addition of legacy and future sensors is made possible by Northrop Grumman's innovative Universal Payload Adapter (UPA), a bracket that mounts to an existing Global Hawk airframe, allowing it to support a wide variety of payloads. "This SYERS-2 flight is only the beginning. We firmly believe that with theÂ addition of the UPA, Global Hawk is capable of flying any mission the U.S. Air Force requires," said Mick Jaggers, vice president and program manager, Global Hawk unmanned aircraft system programs, Northrop Grumman. "Northrop Grumman is funding this study in order to prove that the system can affordably carry the same sensors as any other intelligence, surveillance and reconnaissance [ISR] aircraft. We look forward to continuing to work with our Air Force partners on this groundbreaking solution." Flight tests are taking place at Northrop Grumman's Palmdale, Calif. facility in cooperation with the U.S. Air Force. 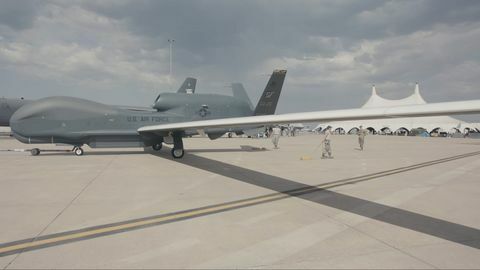 Northrop Grumman and the Air Force reached a Cooperative Research and Development Agreement (CRADA) last year that allows the company to test previously unavailable sensors on the Global Hawk. 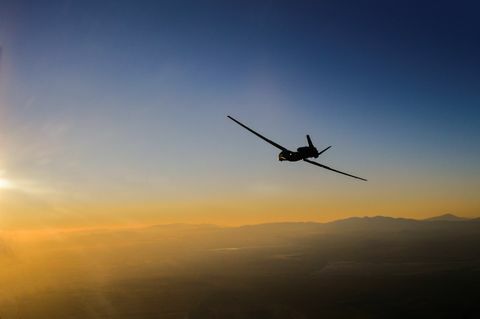 Northrop Grumman's high altitude long endurance UAS series have exceeded more than 160,000 total flight hours. The system's cost per flight hour has fallen to half that of the manned competitor.